Order ahead from your office desk and have your coffee & lunch ready for collection. Order from your smartphone and only arrive once its ready. Then go straight to the collection point and take your items. Swoope in, Swoope out. 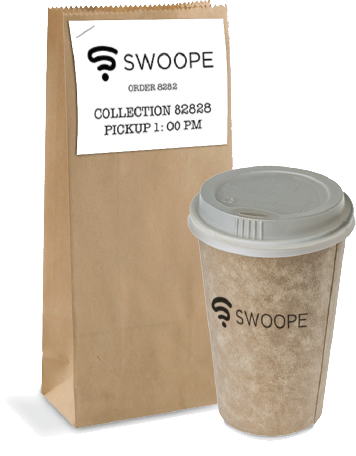 Earn great rewards every time you order with swoope. Digital receipt is emailed to you.